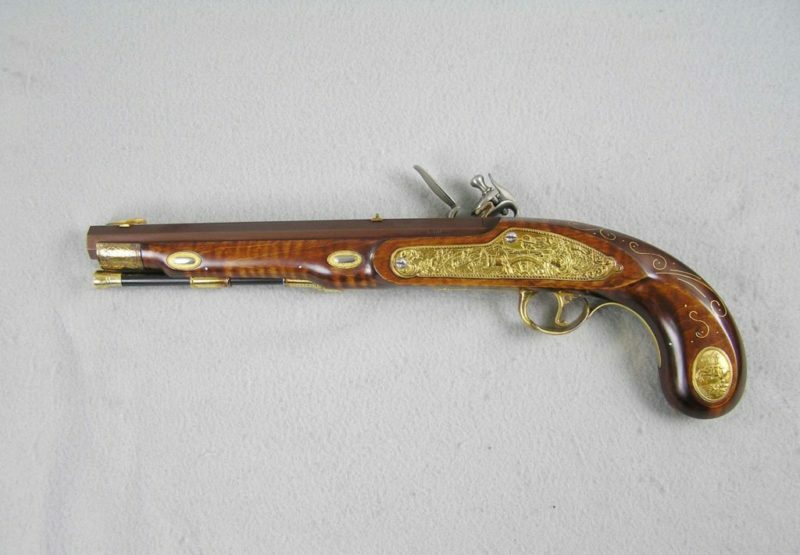 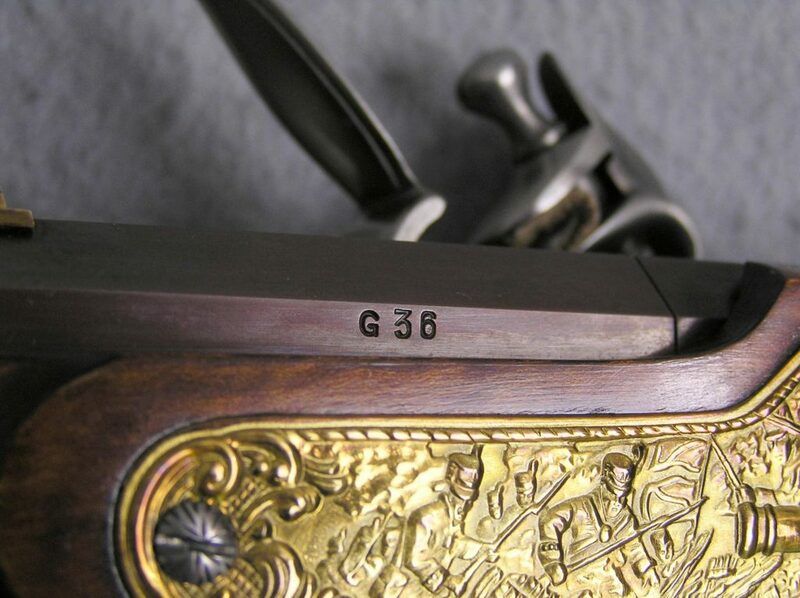 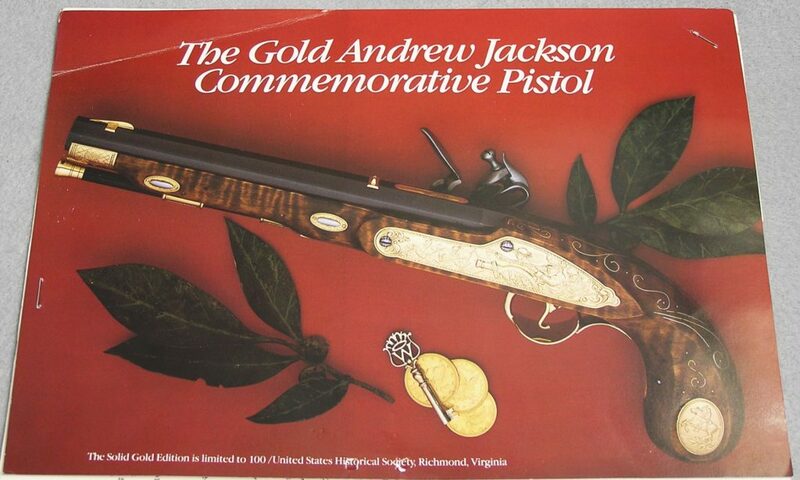 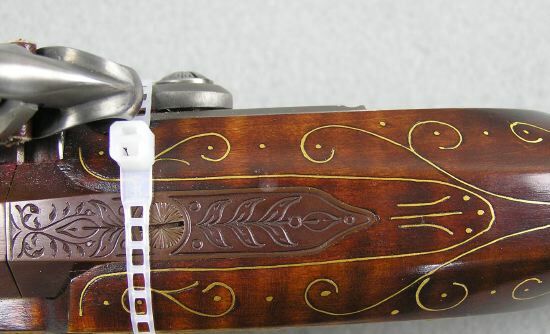 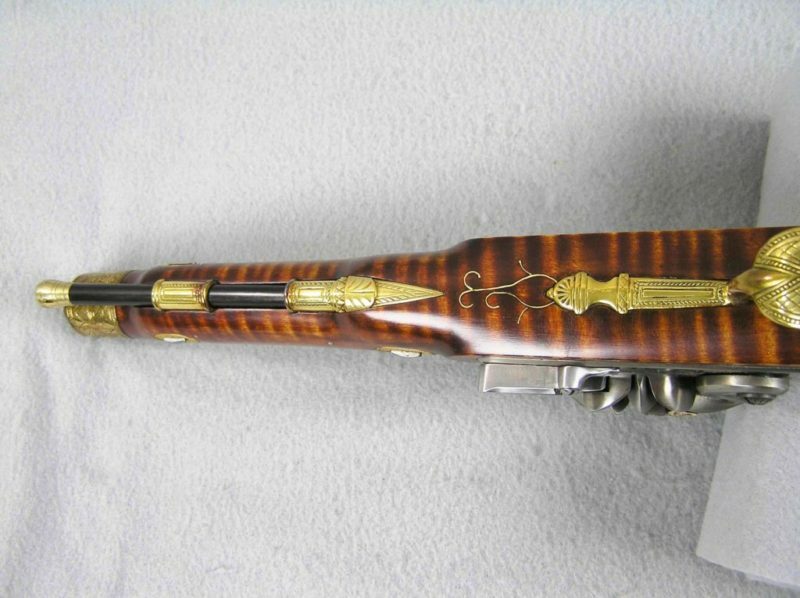 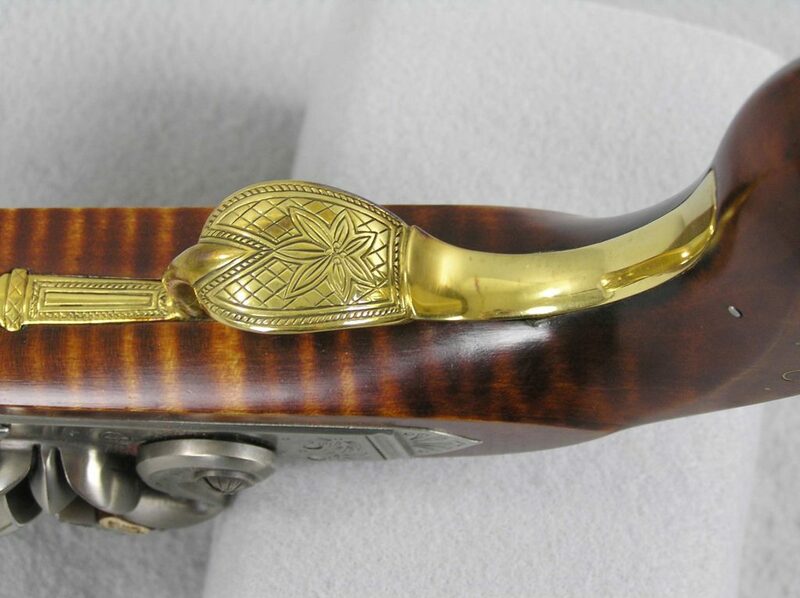 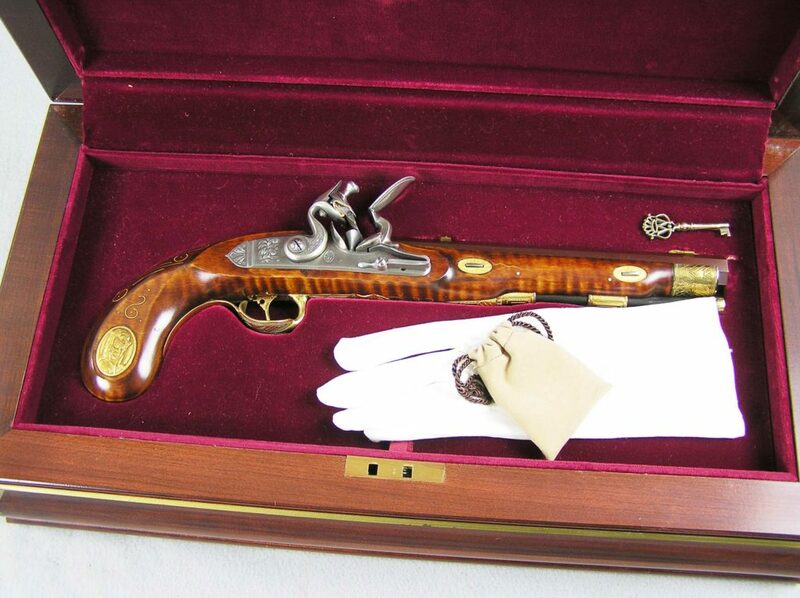 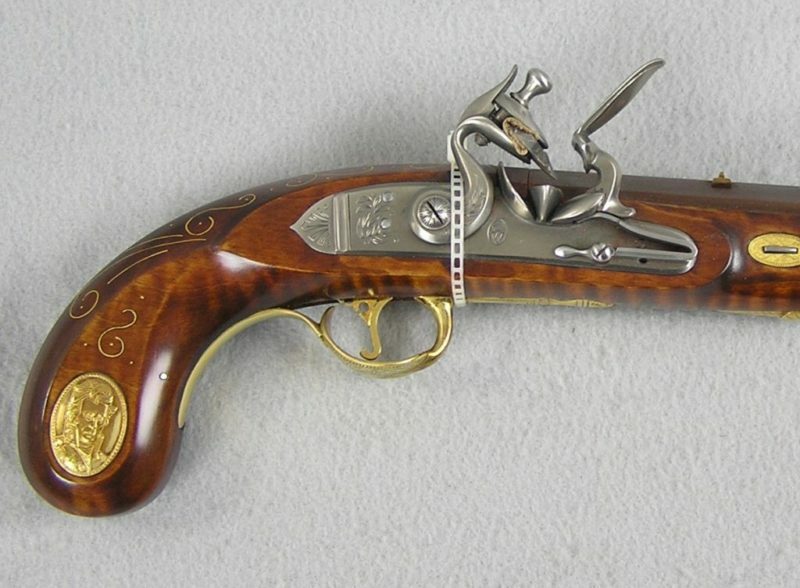 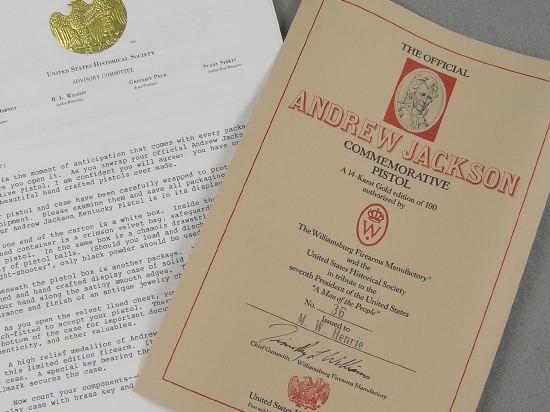 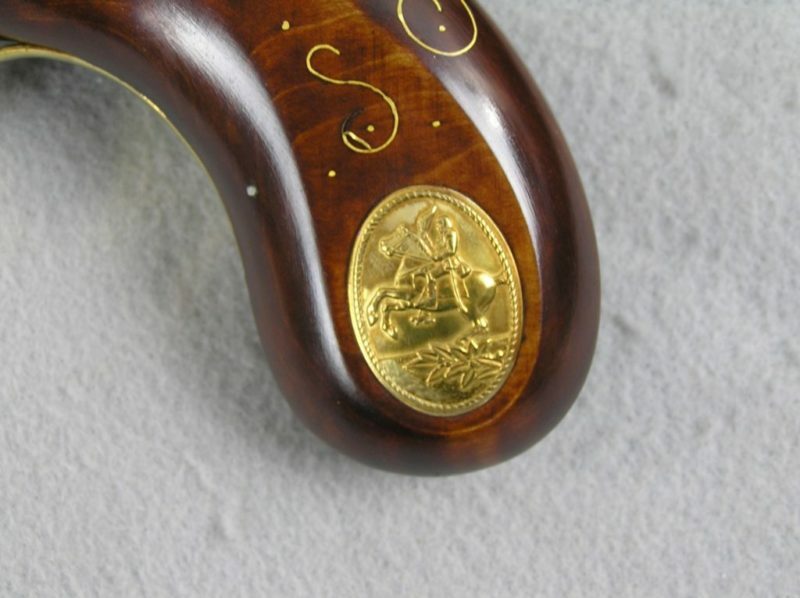 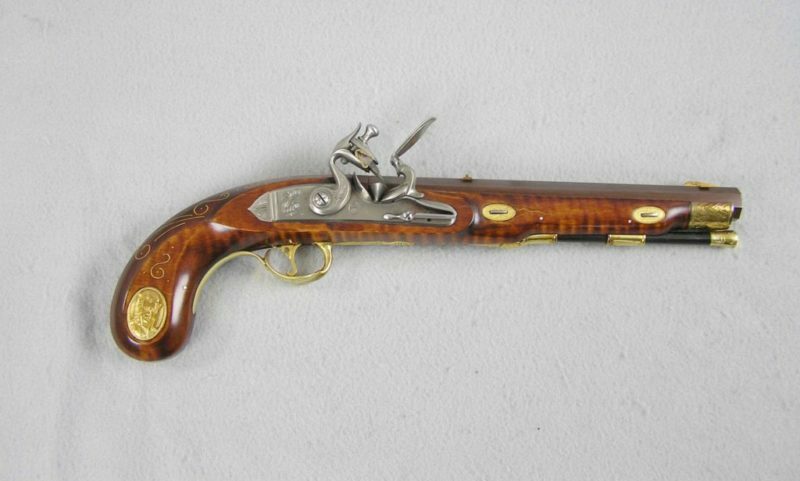 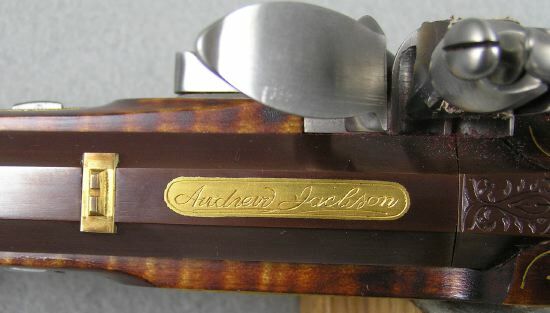 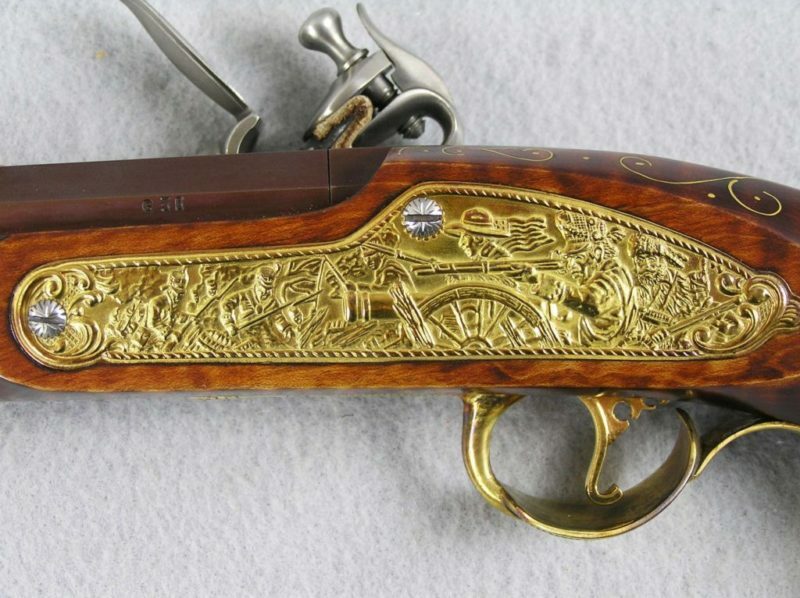 This is a rare 14-Kt Gold Edition United States Historical Society Andrew Jackson Flintlock Pistol. 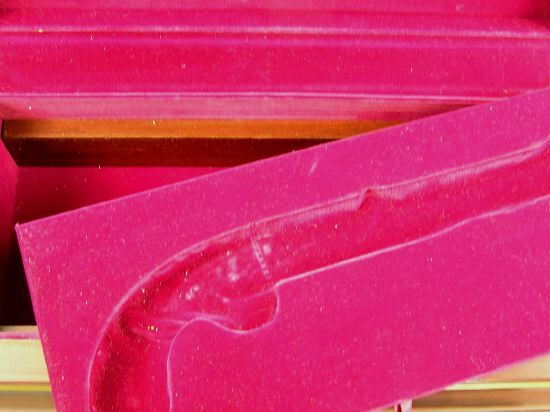 All of pistol accoutrements are 14 Karat Gold. 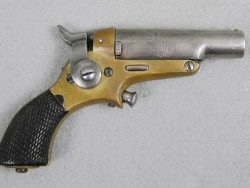 Only 100 were produced and this is No. 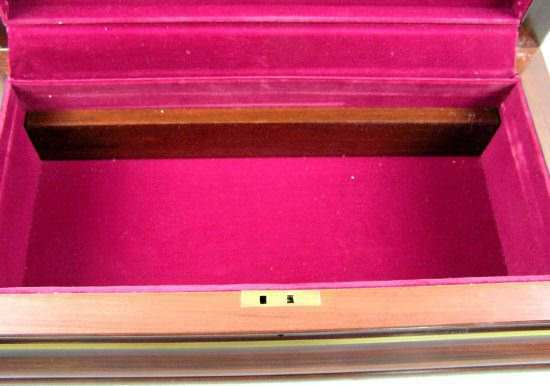 36 and comes with all of the original paper work and the selling price for the Gold edition to this member was $5000.00 in 1985. 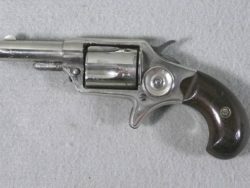 The case has a secret compartment below the pistol. 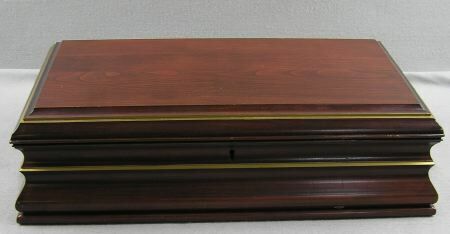 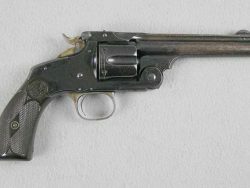 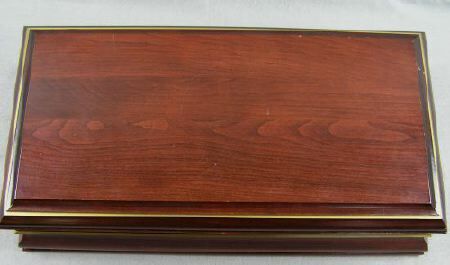 The pistol is unfired excellent plus condition and the beautiful case has only a few tiny scratches and storage dings. 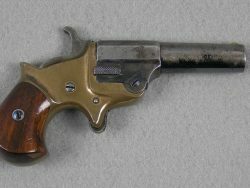 It comes with both keys. 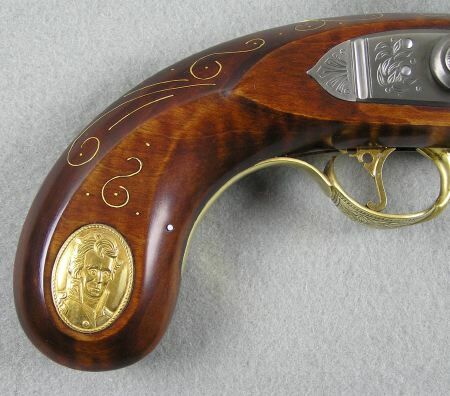 There is a secret compartment below pistol and Comes with the original certificates.